Take a look at my guest post on TrustRadius. Last weekend, my team was able to successfully migrate Georgetown’s IBM Cognos software from version 10.1 to 10.2.1. Seems like a piece of cake, right? Well, in our case, not exactly. I thought I’d share a bit about our experience in the event that it may help others. Our IBM Cognos upgrade effort followed a previously failed attempt to upgrade. After much deliberation with IBM, it was decided that the failed attempt to upgrade primarily related to the fact that we had extremely old hardware and were running on a dated Solaris OS. Still being fairly new to Georgetown, I dug in a bit further. Indeed – our hardware was ancient and the Solaris OS was preventing us from getting much needed support from the vendor (IBM). 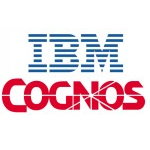 We had previously implemented IBM Cognos in 2005 on version 8.4. Then, in 2010, we migrated on the same hardware, to version 10.1. Given these facts, I was dealt a server which was 8-9 years old, and software that hadn’t been upgraded in at least 3-4 years. Through several conversations with IBM SMEs, we settled on a proposed 6 server architecture (depicted below). I’ve removed the details for security reasons, but we designed these machines down to the processor and RAM level. We also had conversations with IBM about what OS would be best suited for us longer term. We landed on Windows Server 2012. Assessed the current state architecture internally. Made an educated decision on what we felt that we needed to support our business requirements for the future state. We were specific – down to the processor and memory level for each machine in the architecture. We lessened the hardware requirements for the DEV and TEST tiers. QA and PROD tiers were identical. Validated the architecture with the vendor (IBM) and ensured that they supported and recommended the approach. Altered the architecture post vendor recommendation. Based upon the agreed architecture, engaged the IBM sales representative to identify the correct licensing. This step will make your head spin a bit. 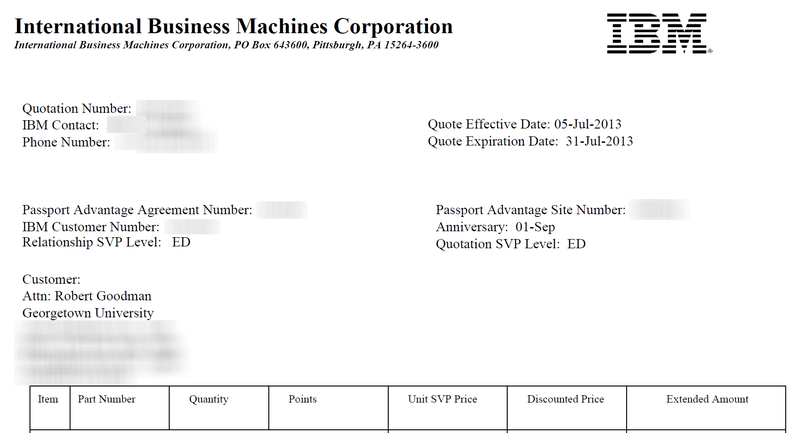 IBM calculates license costs on a Processor Value Unit (PVU) basis. Effectively, it is a proprietary formula used to calculate how much processing power resides in each of your machines. This done by processor and accounts for cores. Negotiated and completed the procurement process. Thankfully, IBM has some decent higher education discounts. For future operating budgets, please be aware that the licensing does not stay flat. You’ll typically see a 4-5% increase per year. Also, for renewals, you might consider working through a business partner (such as CDW-G) to save money on the renewal. Setup the infrastructure. We chose to do this in a virtual environment. We also setup the architecture in DEV, TEST, QA, and PROD. 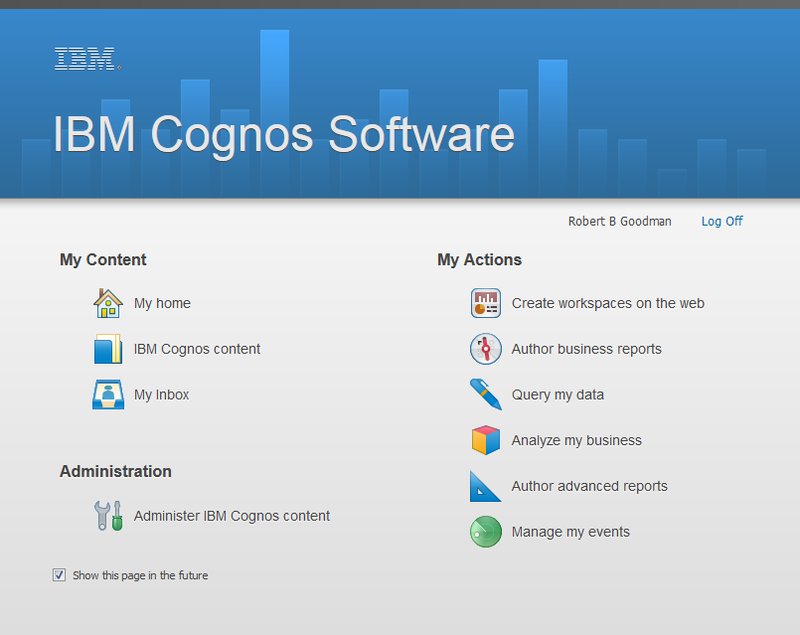 Configured the IBM Cognos software (in this case, 10.2.1). This is more intensive across the distributed architecture, but well worth the performance and scalability benefit. Tested, tested, and tested. We started at the DEV tier and slowly promoted to TEST, QA, and then PROD. If you have an existing environment already in production, you may consider running the two production environments in parallel for a short period of time. We did this for about a week and then recopied the content store from the live environment to the new production environment. It provided an additional level of comfort for testing. 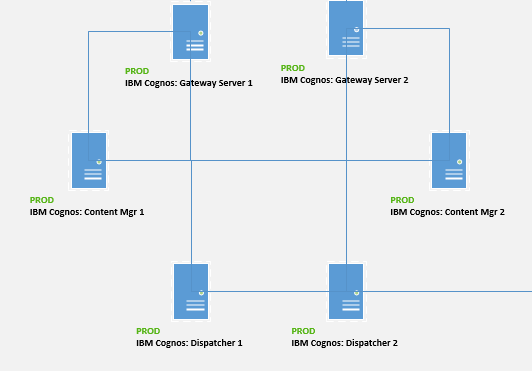 Go-live and enjoy the new features of IBM Cognos 10.2.1. Please note – we decided to go-live with 10.2.1 on our existing 32-bit packages. As a next phase, we are migrating all of the 32-bit packages to 64-bit. You may consider this during the testing phase and deploy all at once. What tips do we recommend? Ensure your SSL certificate is installed across all of the machines in your architecture. If you only install on the gateway server(s), the images on some of your reports will be broken. They attempt to run via port 80 (HTTP) instead of port 443 (HTTPS) and are blocked. The governor limit on packages is reset. We had to go in a modify each package to reset this limit. The portal may seem slower initially. Allow the content store several business days to optimize and reindex. You’ll then see an improvement. Don’t forget to import the new visualizations and install the mobile capability. Very cool stuff! Collaborate with IBM. They may offer to provide an overview of the new features to your team. If you have budget, they may also have optimization recommendations. So what are our favorite features thus far? External object store for report output – helps tremendously with the size of our content store. New visualizations – very cool! 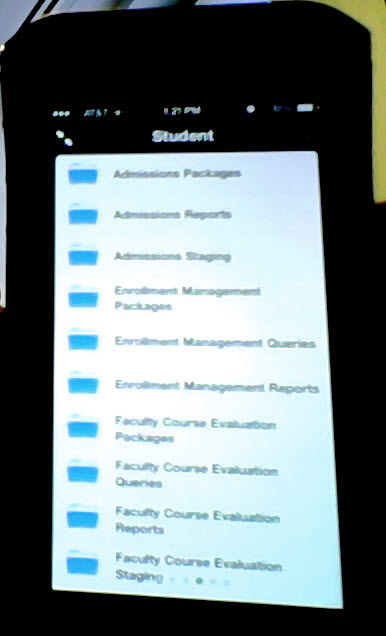 We also enjoy the Cognos Mobile app which allows us to share content on mobile devices and push alerts. Considering BI? Follow these 10 steps for success! Business intelligence. It consistently ranks as one of the top priorities in various CIO and IT surveys. In January 2013, Gartner conducted an executive program survey of over 2,000 CIOs. I’ve listed the top 10 business and technology priorities from the survey below. That said, it is a known fact that many business intelligence (BI) projects fail. 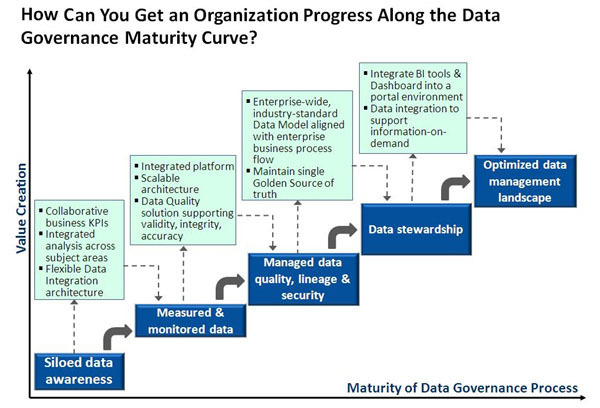 Are you planning to implement a BI and analytics program? Maybe thinking of big data? Ensure executive sponsorship from the start of your project. This may seem like a simple thing, but ensuring that the executives stand behind your project is critically important. Before the project starts, lay out the business plan, create budgets (operating/capital), document key stakeholders, and setup a governance structure. Keep these executives apprised of progress throughout and ensure they see the business value that you are providing. Understand your current software agreements – and choose the right software/database platform for your organization. Many people ask me – what is your favorite BI software/database platform? My answer is that is always depends. It depends on what contracts your company already has in place. It depends on the skills and expertise of your staff. It depends on the budget of your project. The net is that there are a variety of really good BI tools on the market. To name a few – Microsoft, Oracle, MicroStrategy, IBM, Teradata, etc. For a small scale rapid BI implementation, consider cloud-based tools such as Intuit’s Quickbase. Be inclusive during requirements gathering – don’t design in a bubble. IT departments often get frustrated with business users as they feel that they can get the technical solution in place much more quickly without the business users involvement. While this is probably true, if you don’t get critical buy-in from these business users – your initiative will ultimately fail. The business users need to understand that the system will support their needs and requirements. This is also critical when you get to the decommissioning phase (item #9 below). Employ a professional services team to help you. This is not necessary, but in my personal opinion, I feel that it is tremendously helpful. Your staff may or may not have dedicated time for the project. Bringing on a few technical consultants and a project manager can really help to drive the project forward. In addition, they hold an objective opinion and can help facilitate communication and decisions among departments. Don’t overlook security. Security is often over-engineered in BI projects. Please remember that BI projects don’t need to have ERP-level security. You may consider bringing the security up a notch in order to gain better performance. During your design, you may also identify that the users of the BI platform may be power-users by nature. The platform doesn’t have to be available to everyone. You may consider allowing a greater level of access to a few number of “power-users”. This will depend on your specific deployment, but make sure you plan to discuss security early in the project and don’t leave it as an afterthought. Keep it simple for the end-user and consider a portal. Presentation is also important. In a recent implementation, I used Microsoft’s SharePoint 2013 and its Team Site capability to disseminate reports and data by department. We used team sites for the various departments and a public site to bring all of the departments together. Consider building a portal similar to this for your end-users. 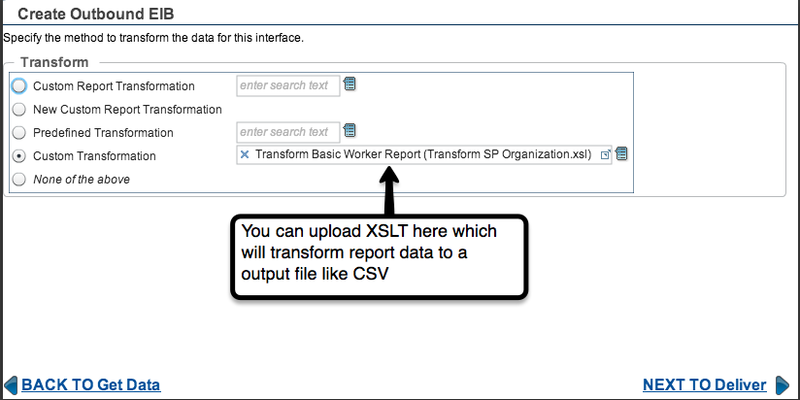 This makes the report/analytics delivery seamless and easy. In an ever-growing mobile world, ensure that the portal is mobile capable. Your users will want to access data when on the go. Allow for collaboration, but in a controlled environment. Control the data model and only expose elements that have been approved by your data stewards. Allow for power-users to create their own reports, but do it in a controlled way. Expose approved data models to them. Keep the report creation controlled to departments so that you can keep the solution clean and tidy. You may even consider a workspace for the custom reports/analytics so that it can be separated from the standard content that is developed and available with the platform. Decommission old reporting solutions. During go-live, don’t forget to decommission the legacy reporting solutions. If you do not, people will continue to use them. Caution: if you decommission them, you’ll need executive sponsorship (item #1) and also assurance that you’ve captured the requirements from this system (item #3). Constantly innovate and evolve your new platform. Don’t let the platform go-live and become immediately stale. Engage the end-users and have a constant feedback loop established with them. Get them engaged to have them help you innovate and build additional content that will better serve their community. Hold a user-group for key power users so that they can collaborate and share lessons learned. Earlier in the year, I wrote an article about Technology Crowdsourcing. There is a new player in this space named TrustRadius. The reviews of TrustRadius are structured, and soon will be able to be added to, and amended over time. Structure allows for curation into things like comparisons. They were launched in May and were funded by the Mayfield Fund in July and are rapidly starting to scale. So far, they have 23k monthly visitors and are growing at 30% per month. 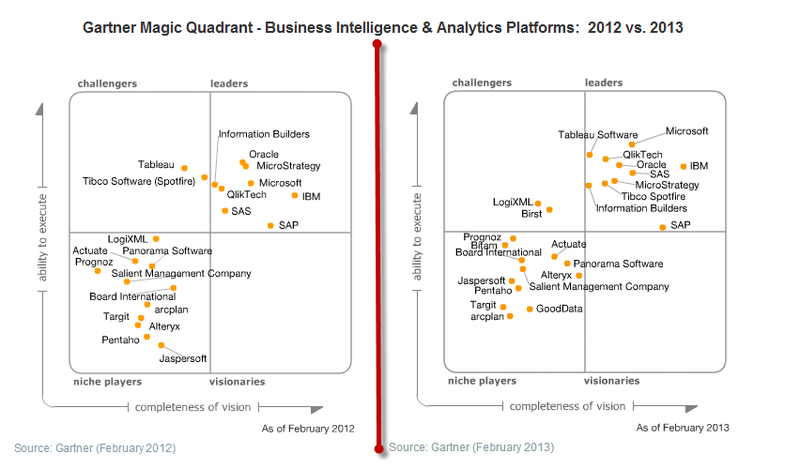 In a recent post, I discussed the changes in the business intelligence landscape as outlined by Gartner in their 2013 Magic Quadrant. Today, I wanted to focus solely on Microsoft as a vendor in this space. Yes, I mentioned Microsoft – and I work in Higher Education! In working with a number of higher education institutions over the years, I often hear direct concerns about “Microsoft.” In the academic world, we are concerned about the most open way of doing things. We like to share – and you may have noticed by the adoption of Sakai and the Open Source Portfolio (OSP). The emergence of open-source tools was prevalent over the last few decades. You now see many organizations running miscellaneous versions of Linux, open source wiki tools, Drupal-type content management systems – and now many have implemented Google (Google Drive, Google Docs, GMail). If you mention “Microsoft” – you’d better start running. You’ll have someone from IT chasing after you pretty quickly – and not in a good way! 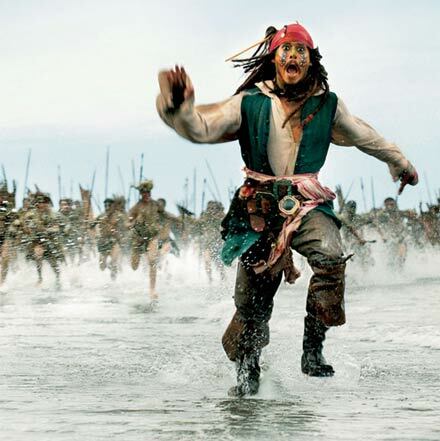 Ok – you’re not Jack Sparrow, so you can relax a bit! But, you can imagine the feelings of many of these IT organizations when you start to implement enterprise-level software that holds a significant cost and the source is proprietary. 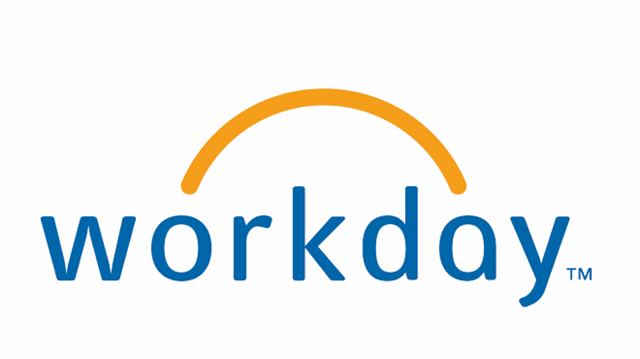 Think Sungard’s Banner (now Ellucian), or PeopleSoft, and maybe even Workday now in some cases. Somehow, Oracle has slipped through the cracks as many of these large ERP vendors require Oracle’s database platform. Oracle was also smart and acquired mySQL – so they have an almost natural support of the open source community. Oracle is an investment, too. You’re probably asking – what’s your point? My point is that Microsoft isn’t bad. It’s actually very, very GOOD! Besides the educational licensing, and the obvious love for Microsoft Office (Excel, Word, PowerPoint, et al) – let’s look at some of the benefits of Microsoft’s SQL Server platform. Let’s start with a basic point that is often overlooked. It is a suite of tools, not simply a database platform. I have listed a basic table below, but you can read more on Microsoft’s website. SQL Server Database Engine SQL Server Database Engine includes the Database Engine, the core service for storing, processing, and securing data, replication, full-text search, tools for managing relational and XML data, and the Data Quality Services (DQS) server. Analysis Services (SSAS) Analysis Services includes the tools for creating and managing online analytical processing (OLAP) and data mining applications. Reporting Services (SSRS) Reporting Services includes server and client components for creating, managing, and deploying tabular, matrix, graphical, and free-form reports. Reporting Services is also an extensible platform that you can use to develop report applications. Integration Services (SSIS) Integration Services is a set of graphical tools and programmable objects for moving, copying, and transforming data. It also includes the Data Quality Services (DQS) component for Integration Services. The great part of purchasing Microsoft SQL Server is that these tools come out of the box – and are included with the license for the database platform. There are several different editions which provide more or less horsepower as your project requires, but this is an added bonus that Microsoft bundles these tools. Direct integration with Windows operating system and Active Directory (this is great if you have a nice active directory structure already in place; not so helpful if you do not). Educational and non-profit discounts are a nice way for Microsoft to give back. License costs, on average, are lower than combining multiple tools from multiple vendors (this always depends on your situation and the license agreements that you have in place). Total cost of ownership (TCO) tends to be lower. This is due to the license fees and also the availability of technical resources that are familiar with the Microsoft platform. Again, this is completely dependent on your situation, but this is what I have seen with other clients. It may also be indirect, but by having all of these tools with one vendor, you spend less time managing 4 or 5 invoices for maintenance and renewals as well. 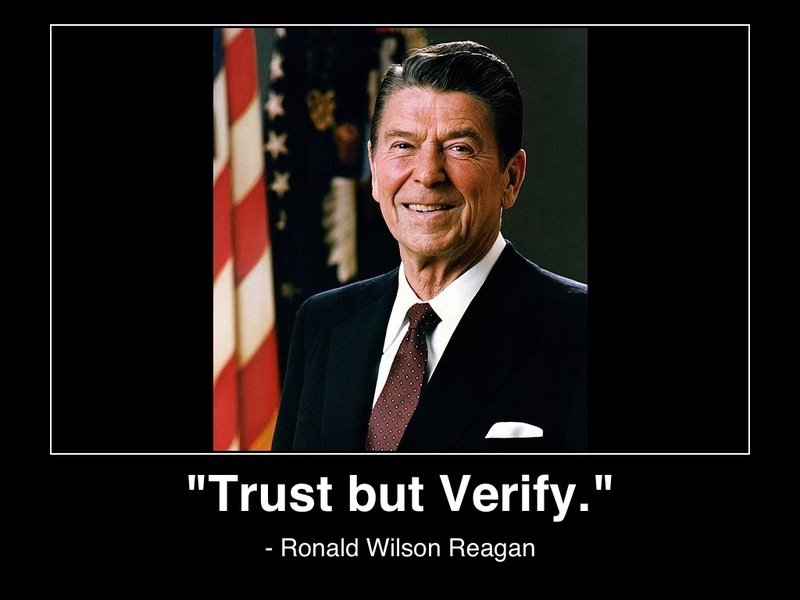 And, if you need to renegotiate anything – it is again done with a single vendor not 4 or 5. SSIS Package Variables – I use them frequently to make dynamic filenames in my SSIS routines. They are flexible and allow SSIS routines to handle a number of complexities that would otherwise be very difficult to address. Data-driven subscriptions – this is a great way to deliver tailored content to your user base. Same report…different content. In a previous consulting organization, I used data-driven subscriptions to improve internal processes and implementation times for external projects. PowerPivot – Let’s be honest. It’s just cool! In-memory BI is a hot topic. We also like tools like Tableau and Qlikview. Many people ignore the warning signs. 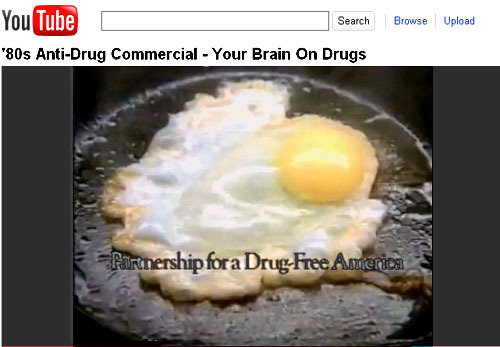 My memory immediately flashes to warning labels on cigarette packaging or the famous 80’s commercial by Partnership for a Drug-free America (This is your brain…this is your brain on drugs). 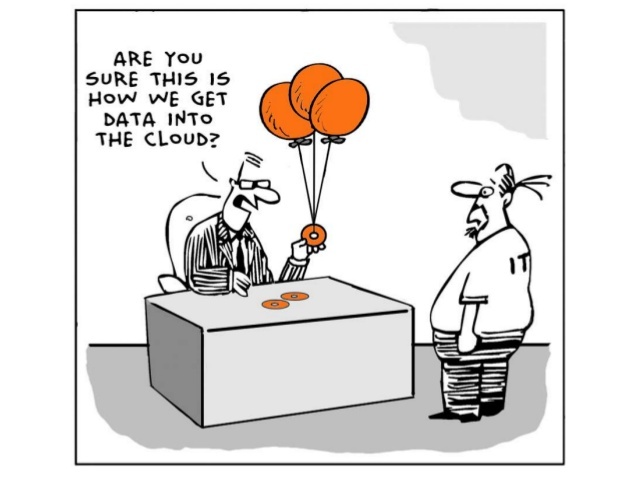 Do you often go to the ‘data guy’ to get reports or data from your ERP systems? Do you have to contact multiple people to get the data that you require to run a report? Is there a central portal where you visit for reporting needs? Are you able to answer the majority of your business questions without involving the IT department? Are you stuck with canned reports, or do you have the flexibility to run in-memory BI with tools such as Microsoft PowerPivot, Qlikview, or Tableau? Are you able to write your own reports, and more importantly, understand the data that is available? Do you have dashboards setup to govern key business areas? Are you able to share those dashboards in real-time to further collaborate? Does your business intelligence system allow you to look across functional areas to compare and contrast? Is there a process in place to request that additional data be added to the system? Now that you’ve had a chance to think about the questions above, let’s look at what I would consider a positive and negative response to each question. Use these questions as a quick litmus test. If you answered negatively to 4 or more of the questions above, you should revisit your business intelligence strategy. If you answered positively to 6 or more of the questions above, you are likely headed in the right direction. That being said, it is never a bad idea to reassess and evaluate strategies to improve your business intelligence environment. Considering the constant change and fantastic software tools that are out there – you can always find something that will add to the value of your BI strategy. Caution: many of these tools are expensive, so evaluate carefully and find the right fit for your budget and your organization. I have worked in many organizations to find that only one specific person, or a small group of people, have access to organization-wide data. If you find yourself constantly going to one person to get the data that you require…or to get ‘that report’ written, then the business intelligence system is failing. A proper business intelligence system should allow you to get the types of data that you require as an end user. It may impose appropriate security on the data, but it should allow you to get access to the data that is required to do your job. If you find yourself contacting one person in Finance to get the finance data – and one person in Human Resources to get the HR data – and one person in Sales to get the sales data, then the business intelligence system is failing. 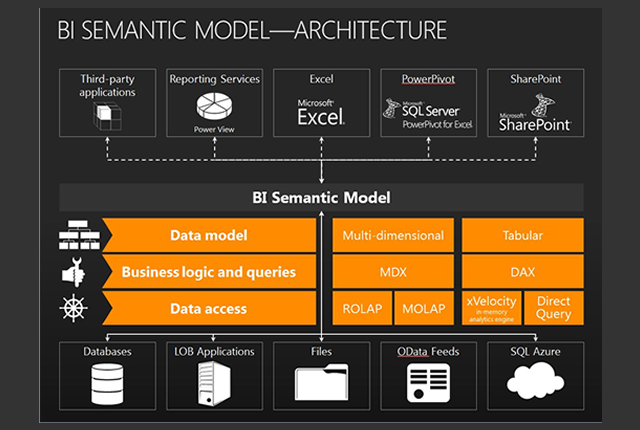 An appropriate BI solution should bring this data together and make it accessible cross-functionally. Without such a portal, this information is difficult to cobble together and it leads to confusion as end-users are visiting multiple locations to find this information. This portal serves as a one-stop shop for business intelligence, reporting, and analytics needs. This question is two-fold. The first part is to ensure that the business intelligence system has the data that is required to fulfill your request. The second part is to ensure that if the business intelligence system does have all of the data that is required for your request, that it is accessible to you. Security is important, but it can also be over engineered. In a recent project, I stepped into a BI project where each report was executing a security table with over 3.5 M rows of data. This killed performance and made the experience so frustrating for end-users that they started to spawn their own shadow systems. Not good. Make sure that you have the appropriate security in place for your data, but remember that security for BI projects will likely not be the same as the transactional security that you have setup in your ERP systems. Business users will always find a report that isn’t written…or a permutation of an existing report that is required to fulfill a specific need. For the canned or standard reports that you make available, try to make them as flexible as possible with report parameters. These filters allow you to further refine the report for various users. Once the user community becomes used to the environment, they will quickly outgrow canned reports. This is where in-memory BI plays a big part. Allow power-users the flexibility of further analyzing data using in-memory tools. I’ve seen this done very well with Microsoft PowerPivot, Qlikview, and Tableau among others. This collaborative analysis may lead to future canned reports or dashboards that will provide benefit to the larger community. And, if not, it provides the flexibility to perform quick cross-functional analysis without the effort of creating a full report. In the case of Qlikview, users can collaborate and share dashboard data in real-time. This is very neat. If your business intelligence environment is setup correctly, power-users should have the ability to write custom reports and save them either to a public or personal directory. If the BI implementation has been done well, power-users will also understand the metadata which fuels the reports. In a recent implementation, I’ve seen this done well with IBM Cognos and their Framework Manager. Dashboards are always the eye-candy of a BI implementation. With the proliferation of good dashboard tools, this is an integral part of a modern BI solution and is a key aid in helping to drive key business decisions. Not only are dashboards great to help the c-level suite make key business decisions, but they are also becoming a fantastic way to collaborate and share information. As mentioned above, some of the more advanced dashboard tools allow you to share dashboard information in real-time. This could be as simple as selecting a view parameters and sending over a copy of a dashboard that you’ve modified. In some of the nicer tools, it could mean sharing a session and collaborating on the dashboard in real-time. This may seem like a silly question, but it is an important one. Does your business intelligence system encompass all of your key ERP systems? If not, you need to reevaluate and ensure that all key business systems are brought into the BI solution. 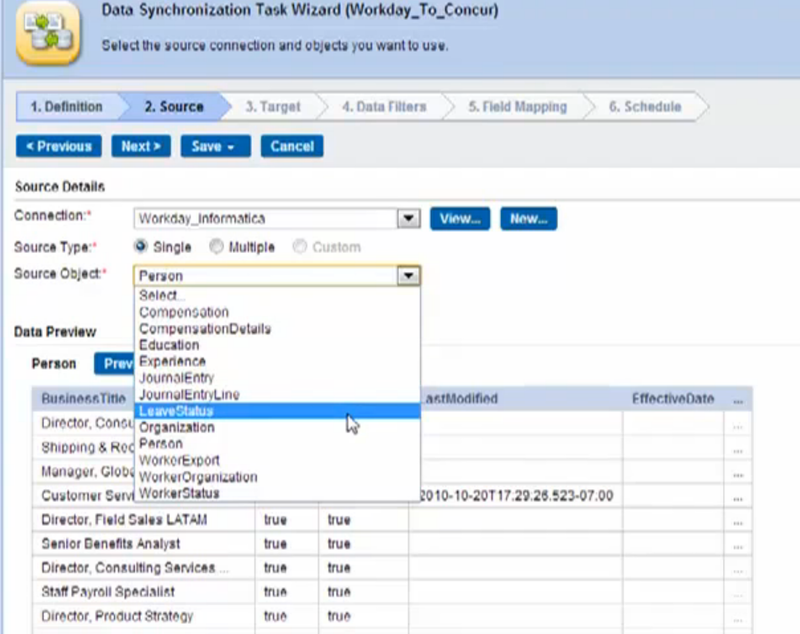 Once the data from the key business systems is standardized and brought into the BI solution, you can start to join these data together for insightful cross-functional analysis. Through exploration, collaboration, and report writing, you may identify data that has not been loaded into the BI solution. This could be as simple as a data field or as complex as another transactional system. Either way, you should ensure that your BI team has a process in place to queue up work items. The BI solution needs to evolve as business needs are identified. Personally, I have gained a lot of benefit from using Intuit’s Quickbase software to manage this process through technology. Quickbase has a nice blend of tools that facilitate collaboration and allow end-users to submit requests without a lot of effort. As you evaluate your BI solution, also ensure that your ETLs are loading data at the appropriate interval. I’ve also seen many implementation where the data is so dated that is becomes useless to the end-users and impacts adoption of the platform. Try to run ETL processes as quickly as possible. In many implementations that I’ve completed, we’ve set data up to run nightly. This isn’t always possible given the volume, but fresh data always allows for better adoption of the platform.